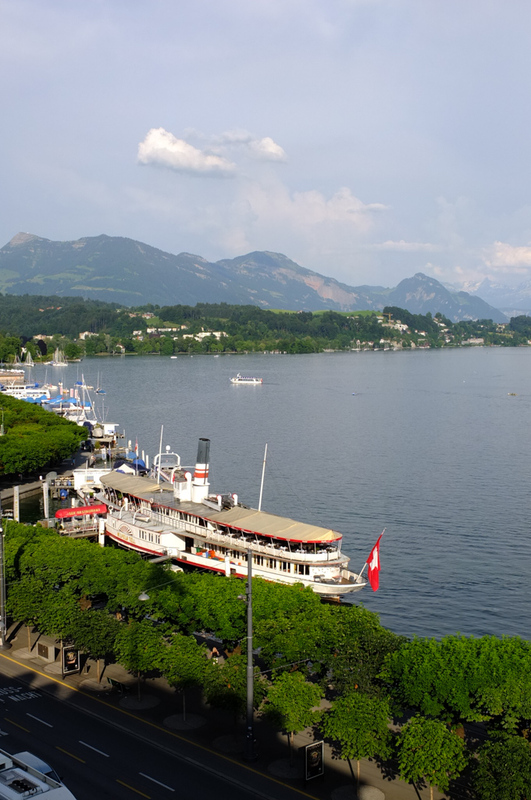 #355 – More Lucerne Paddle Steamers! 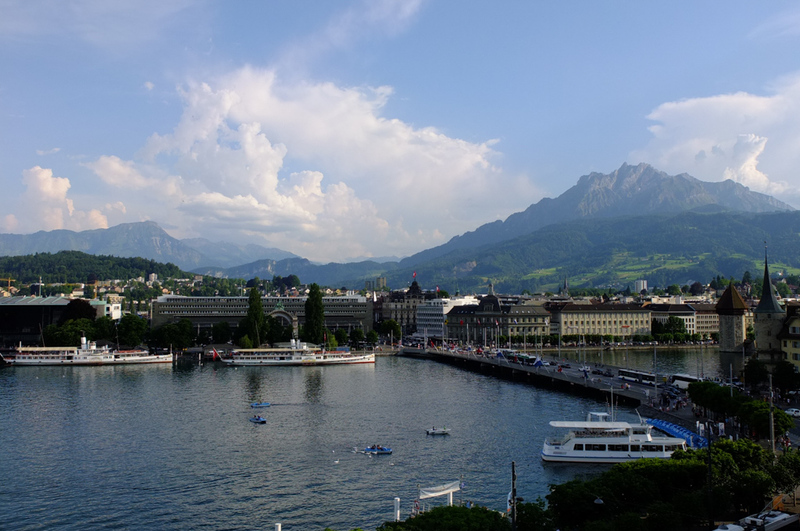 A change from my usual hotel resulted in the opportunity to see Lucerne from a different perspective, so finding the highest point in the hotel I was legally allowed in, I took my camera, opened the window and snapped away unhindered! 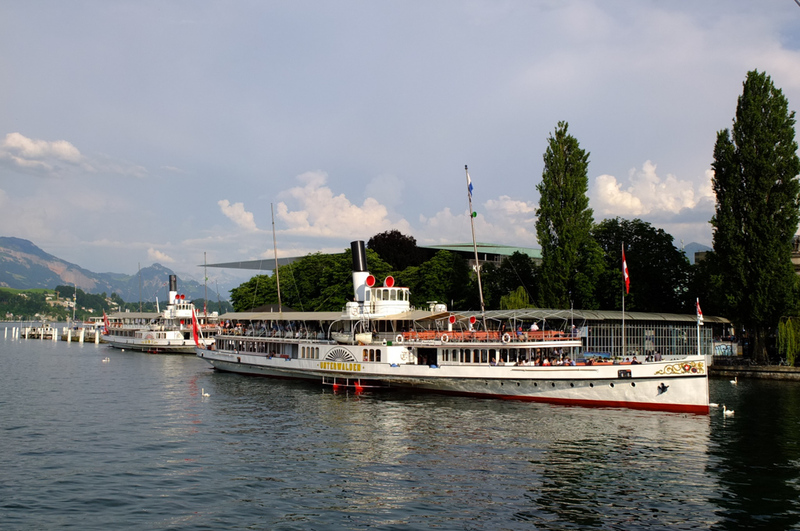 The Wilhelm Tell paddle steamer. 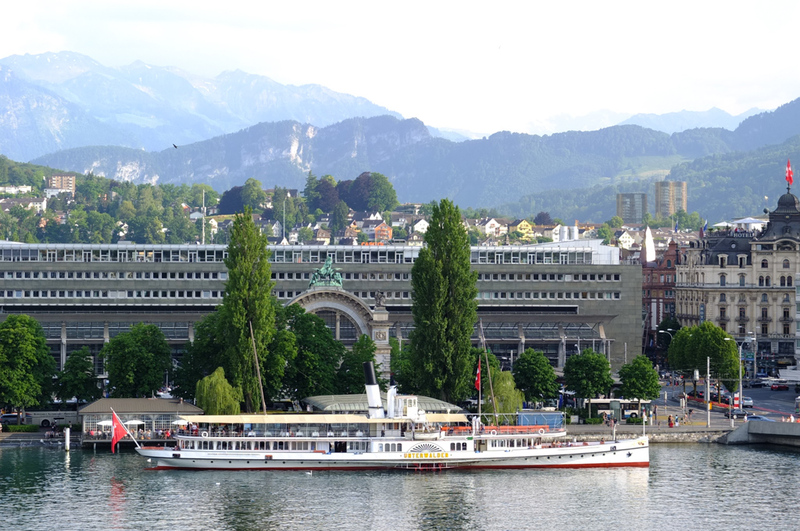 Taken out of service in 1977, the ship is now a floating restaurant on the lakeside promenade. All being well, a trip on the lake is in order on my next visit…………….